Are you a romantic at heart? These heart decorations for valentines day decor are whimsical and budget friendly. Decorate in one fell swoop for the entire month of February! Decorating for the seasons is something that I love to do! It’s a chance to add in some fun and whimsy and really change up the look of a room. Life tosses enough drama our way, so why not add in some fancifullness along the way! As Dr. Seuss said “From there to here, and here to there, funny things are everywhere.” This is just a fun and easy look to recreate for under a mantel, a wall or around a bar cart for a Galentines party. And the best part may the low cost at under $20! Out came the pink rug that will stay up for the month of February. I LOVE this rug and you can find it here – PINK RUG. A quick swap out of pillows for a few that I have in blush pink and bring on the balloons! If you have been following for awhile, you might remember my CREATIVE FALL MANTEL post from last year. I went with the same concept for the heart decorations valentines day decor theme. You can find all of these balloons in a handy package at this link: ROMANTIC BALLOON PACKAGE. At under $20 it’s a WIN/WIN as far as I’m concerned! Blow up your balloons! I did not have access to a helium tank but being a DIYer I do have an air compressor. The package comes with a stiff straw that you insert into the balloons to aid inflation. Not sure if you can use the air from a vacuum in reverse, but maybe. I only used the compressor on the mylar balloons and blew up the others the normal way. Find a spot on your wall or mirror to hang the LOVE balloon, as this will be your focal point. I used double sided scotch tape to adhere. Next came the mantel, but if you don’t have a mantel that’s okay too! I simply propped the hearts on the right, added some flowers in bucket and jar on the other side for symmetry. While I’m not a strict symmetrical lover personally I believe in some balance. A couple of pink pillar candles and then a final balloon styled into the copper bucket. For the balloons under the mantel I started at the floor and piled them up, stacking and varying colors. I tried taping them to the wall but had no success with our plaster walls. If you have drywall or shiplap it would probably work with double sided masking tape. 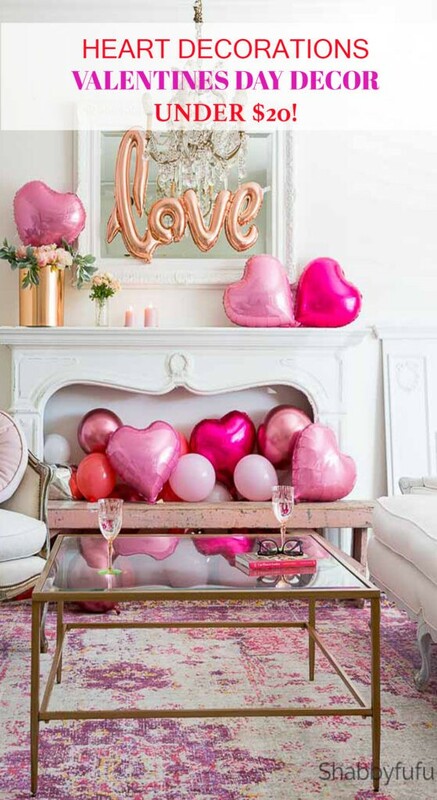 My vintage pink bench is holding the balloons in this heart decorations valentines day decor arrangement in place! These two are always curious and had to see what mama was up to! The aspect of seasonal decor that I love so much is the flexibility and the temporary nature. I hope that you try this and as I said it’s less than $20…so have fun with it if you do! Have you visited the shop yet for our VALENTINE’S DAY items? We design these in-house and they make for wonderful GIFTS! Selection is limited and MUST BE ORDERED SOON to make it to you in time for the holiday. Check out our mugs and pillows at this link – POSH COTTAGE SHOP! 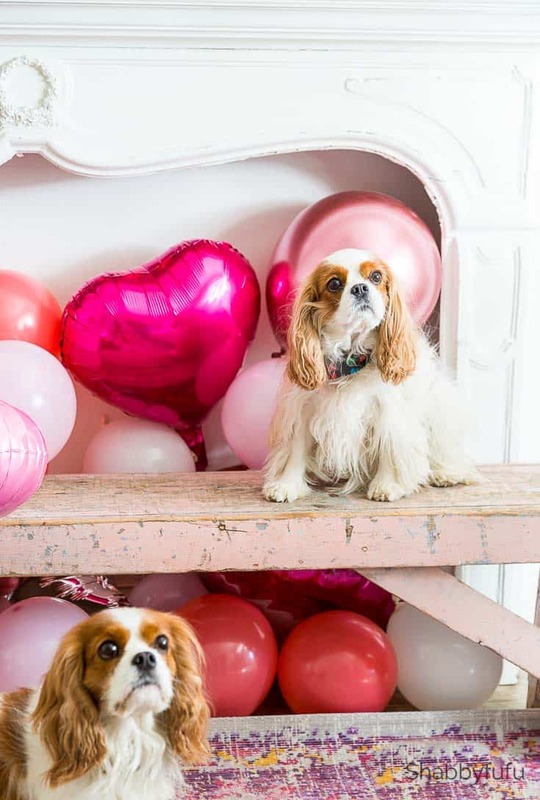 What a fun, whimsical way to decorate for Valentine’s Day! 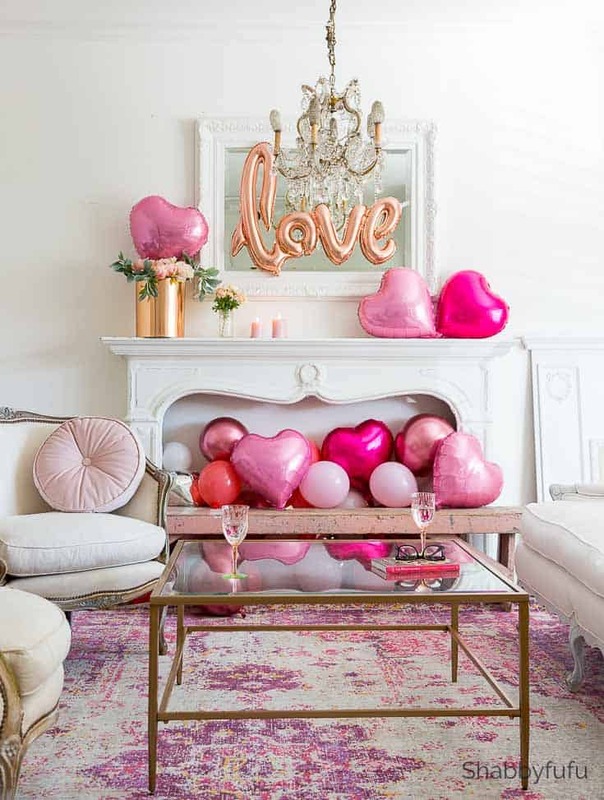 I love everything about the decor – from your fabulous pink rug to all the heart balloons. Love all the variety of pinks you have going on! So beautiful! I also love the reflection in the coffee table!! Chic and girly setting! Hi Babette….this is meant as pure FUN and so glad that you like it! Have a great remainder of your week! I use to decorate for all the holidays but now that all the kids are gone and the grandkids live so far away I just don’t bother. Do enjoy looking at the decorating other people do. I really like these! I have a few Valentine’s Day pieces to set out, but not a bunch. I should get some balloons. That looks like a lot of fun! It’s something different to do for Valentine’s Day and I know the family would love it just because of its creative unexpected look. Many of us decorate for other holidays more, but I think Valentines Day is such a pretty holiday to decorate for! 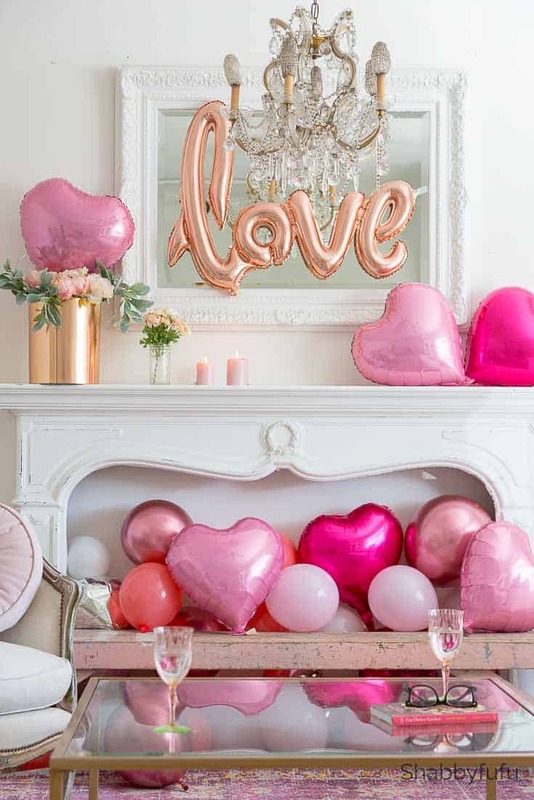 This Valentines Day decor looks so cute! I have hearts and love all over my house and person already and my husband likes this about my decorating style. It never hurts to add a little for Valentine’s Day. Super cute idea! I would love to try this idea with paper mache hearts! BTW thank you for the free download Valentine images. 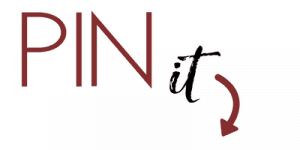 Give it a shot and so glad that you like the printables! This is such a fun and cute decor idea! I would love waking up or coming home to something like this. Can’t imagine my other half actually agreeing or doing it though lol. Super cute decoration ideas! 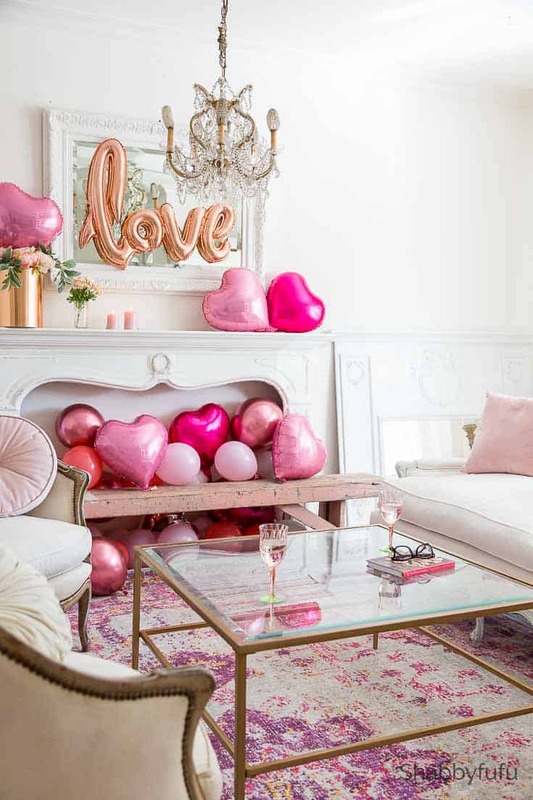 The pink rug really brightens up the entire space and the LOVE balloon is my personal favorite. I love your Valentine’s Day decorations The different shades of pink really add a nice touch. Oh I love this! All the valentines balloons are so cute and love the colours too! Your dog is amazing! What a great way to decorate for Valentine’s Day! I love the look. Your dogs are absolutely adorable. How stinkin’ cute. I love the balloons in the fireplace. That just makes my heart happy! Thanks so much…we love happy things! This is SO cute!! 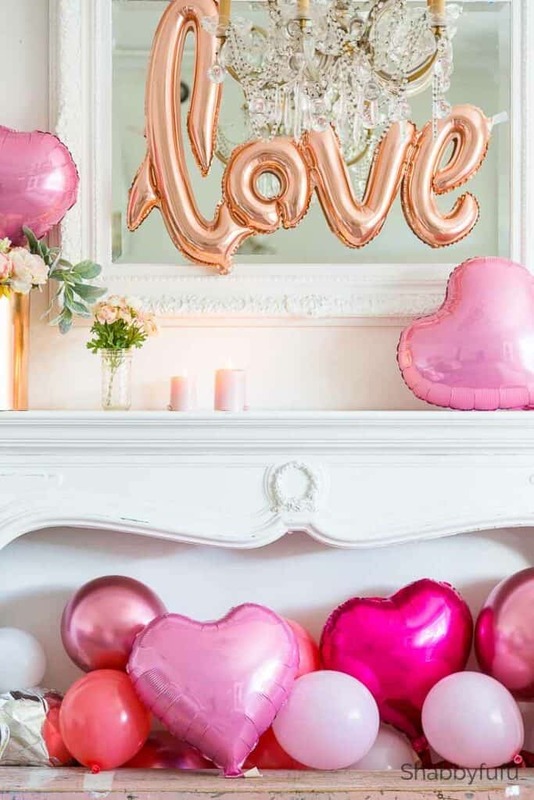 I love how you decorated and made it seem simple with balloons, but it truly looks amazing! I have never bothered to decorate for Valentine’s Day. I’m not sure why. I really love it. Maybe I need to change my ways! I love how easy to make this Valentines Day decor is. I love the colors too. It’s modern and fancy! Thanks for reminder. I need to get my love decor out. Love your bright balloons! This makes me want to throw a party! What a fun idea Janet! LOL…it is a party like atmosphere and everyone who has come in to the room smiles BIG! Have a great week Denise.